1.1 The regatta will be governed by rules as defined in The Racing Rules of Sailing (RRS) and the prescriptions of Sail Canada, except as these are changed by this Notice of Race and by the Sailing Instructions. 2.1 The following racing rules will be changed, as well as others listed in other parts of this document. Further changes may be presented in the Sailing instructions. (a) RRS 40 will be changed so that all competitors must wear PFDs at all times, as required by race committee and RMCYC regulations. 3.1 The event is open to all cadets and ex-cadets of RMC and the other Canadian Military Colleges. 3.3 Any questions can be directed to NCdt Nicholas Bell, s27745@rmc.ca . 4.1 There are no fees to participate in this event, however, all participants must sign a waiver and donations to the RMC Yacht Club and/or the RMC Sailing Team are always welcome. 5.1 A J24 or J22 Keelboat will be supplied by the RMC Yacht Club. It is recommended that each boat has a minimum crew of 4 people and a maximum of 6 people depending on the boat supplied. 7.1 Sailing Instructions will be emailed too all registered participants after 1 September and will be available the day of the event. 7.2 In case of a conflict between the Notice of Race and the Sailing Instructions, the Sailing Instructions will prevail. This changes RRS 63.7. 8.1 The racing area will be near Navy Bay and will be organized from the RMC Aquatic Centre. Please see map at the end of this NOR. 9.1 Each boat’s series score will be total of her race scores. No races will be dropped. 9.2 One race will constitute a regatta. 10.1 The award will be presented to the winning team. If the team is an ex-cadet boat, the ex-cadets will be deemed the winners. If the Current Cadet boat wins, the current cadets will be deemed the winners. However, this event is for fun. The award is not the important part. 11.1 Competitors participate in the regatta entirely at their own risk. See RRS 4, Decision to Race. 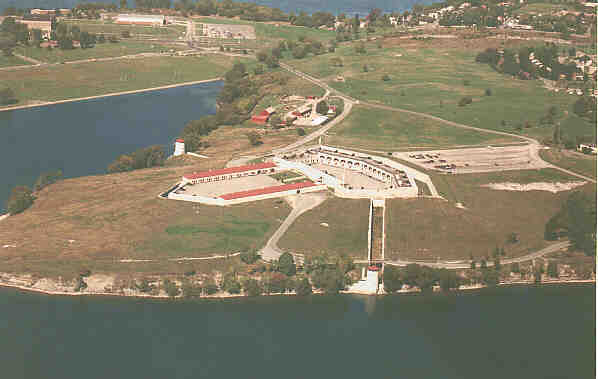 Anyone for a run around Fort Henry? 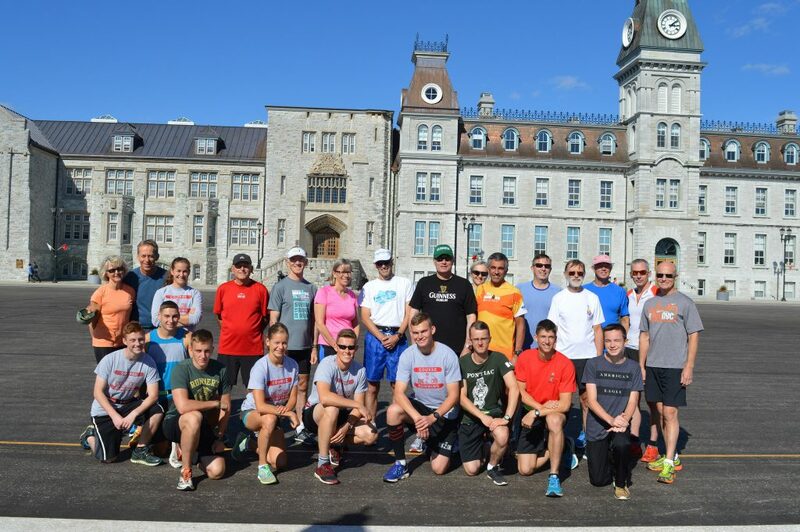 Ex-Cadet weekend this year will again include a fun run around Fort Henry for Old Brigade members, other ex-cadets and present-day cadets. In essence this is a re-creation of the Cadet Wing Harriers Race. The plan is to start from the College Parade Square at 1500 hours on Saturday, September 15, and run completely around Fort Henry before returning to the parade square with smiles on our faces. The total distance is about 4.6 kilometres – but don’t forget that includes doing the Fort Henry Hill a couple of times. Ex-cadets of classes having reunions this year, from recent grads to Old Brigaders, are particularly invited to join the run. If any of the classes wish to gather a group together from their year for the run, that would be even better. Other family members are also welcome to participate in the run. The college’s Harriers teams – both male and female – have already agreed to participate. If the younger groups want to make a bit of a race of it, they are welcome to do so, but the older runners need not race – the completion of the run will be reward enough. Afterwards, all participants are invited to gather at nearby mess to quench their thirst and celebrate the comradeship that is such a great part of the college experience. The annual run has been going on for almost a decade now, and we hope to have 30 or more runners – both older and younger – join us. Anyone interested in participating is requested to contact the organizer, 6891 Bill Aikman at baikman@rocketmail.com to confirm arrangements.